Sara Minami is cast for the lead role in movie “Momi’s House” (literal title). Also cast in supporting roles are Naoto Ogata and Misato Tanaka. The film is scripted by Ayako Kitagawa and directed by Yoshihiro Sakamoto. The duo previously worked together on 2017 movie “Pure White” (“Mashiro no Koi”). “Momi” in the movie’s title refers to a type of tree (also referred to as Momi Fir or Abies firma) that is native to central and southern Japan. The film is set at a facility called Momi’s House which is for troubled teens. Sara Minami will play Ayaka Honda. She begins to stay at Momi’s House after having refused to go to school for half a year. Filming for “Momi’s House” finishes this spring and took place over the course of a year to cover the four seasons. “Momi’s House” will be released spring, 2010 in Japan via Bitters End. Main trailer added for movie “Jesus” starring Yura Sato. The film is directed, written and shot by first time feature film director Hiroshi Okuyama. The quirky film had its world premiere last year at the 66th San Sebastian Film Festival and won the “New Directors Award” at that film festival. Story for “Jesus” follows a young boy who moves to a small town and starts school at a Christian school. One day, he begins to see a miniature Jesus. 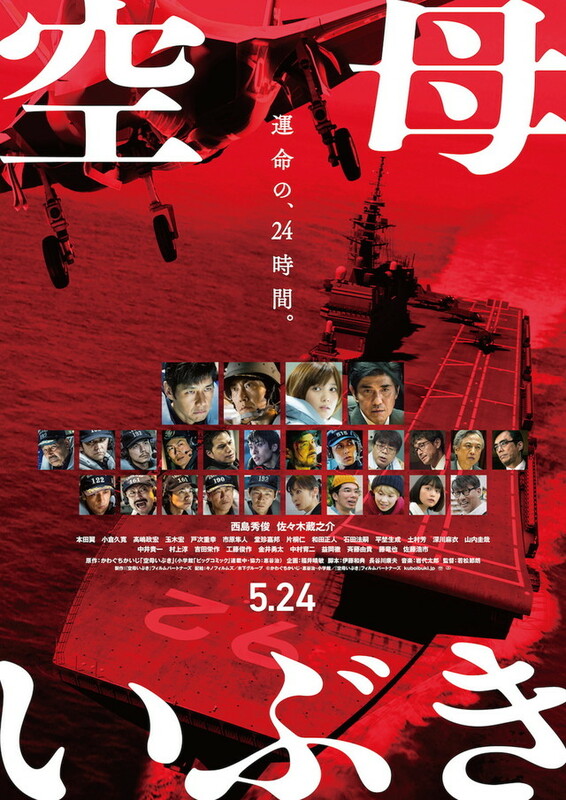 “Aircraft Carrier Ibuki” will be released May 24, 2019 in Japan. Teaser trailer and poster added for upcoming film “No Longer Human” starring Shun Oguri, Rie Miyazawa, Erika Sawajiri and Fumi Nikaido. 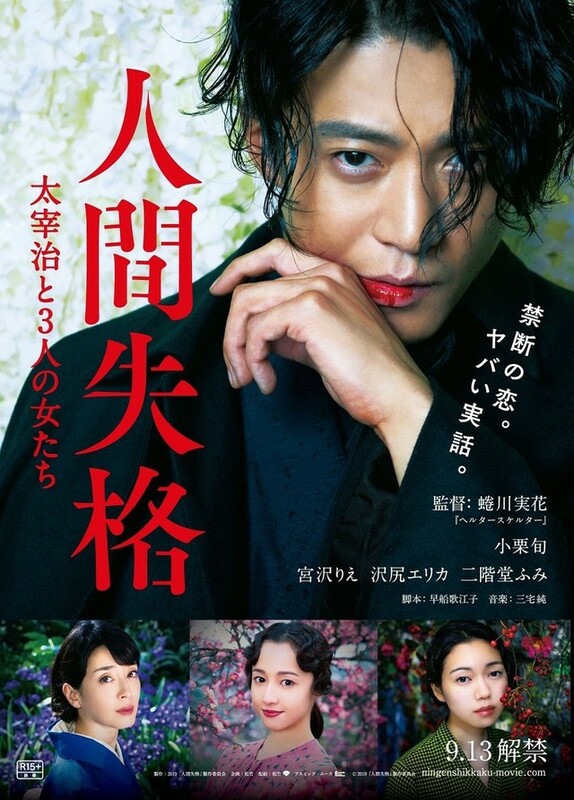 The Japanese title for the film has been updated from “Ningen Shikkaku” to “Ningen Shikkaku: Dazai Osamu to 3 Nin no Onnatachi” (literally “Human Disqualification: Osamu Dazai And 3 Women”). The film is based on the life of writer Osamu Dazai. The teaser trailer begins with Shun Oguri stating in Japanese “Humans were born for love and revolution.” Movie is directed by suddenly prolific director Mika Ninagawa (“Sakuran“). “No Longer Human” is now set for release September 13, 2019 in Japan. Teaser trailer and poster added for live-action film “Hot Gimmick: Girl Meets Boy” starring Miona Hori, Hiroya Shimizu and Mizuki Itagaki. Caption on the poster states in Japanese “1 Answer. 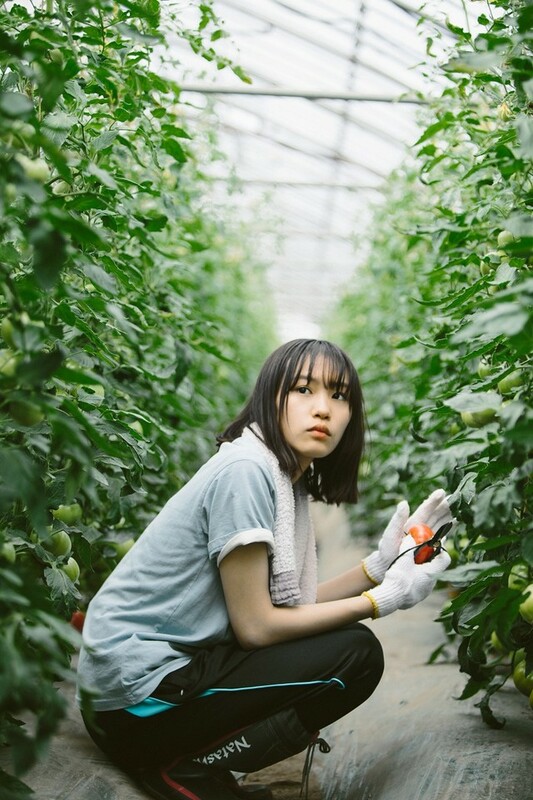 3 First Loves.” The film is based on manga series “Hot Gimmick” by Miki Aihara and directed by Yuki Yamato (“Drowning Love“). “Hot Gimmick: Girl Meets Boy” will be released June 28, 2019 in Japan. Main trailer and poster added for live-action film “Almost a Miracle” starring Kanata Hosoda and Nagisa Sekimizu. 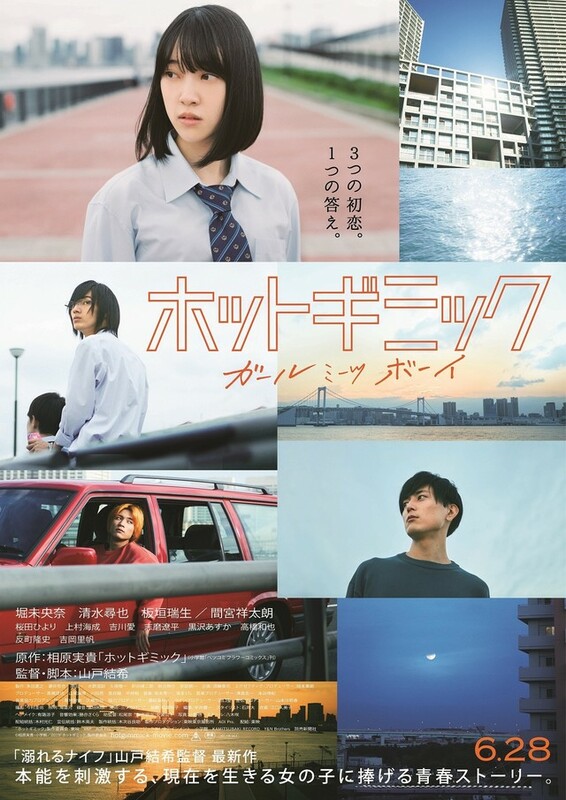 Movie is based on manga series “Machida-kun no Sekai” by Yuki Ando and directed by Yuya Ishii. The trailer also features the movie’s theme song which is “Itemotattemo” by Japanese R&B and pop singer Ken Hirai. “Almost a Miracle” will be released June 7, 2019 in Japan. 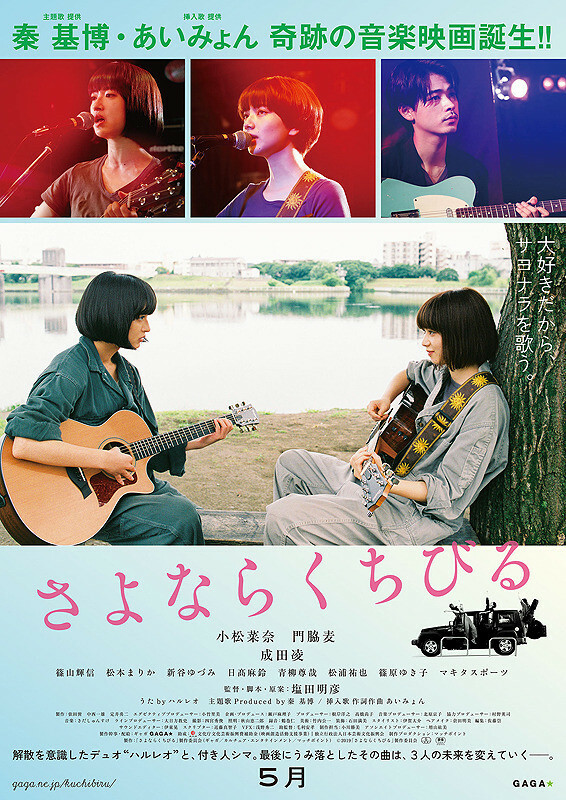 Main trailer added for movie “Farewell Song” starring Nana Komatsu, Mugi Kadowaki and Ryo Narita. Movie is written and directed by Akihiko Shiota (“Dororo“). The film follows a female musical duo as they embark on their last tour. A love triangle develops between them and their roadie. “Farewell Song” will be released May 31, 2019 in Japan. Teaser trailer & 2 teaser posters added for movie “Samurai Shifters” starring Gen Hoshino, Issey Takahashi and Mitsuki Takahata. Movie is based on 2016 novel “Hikkoshi Daimyo Sanzenri” by Akihiro Dobashi and directed by cat lover Isshin Inudo. Akihiro Dobashi wrote the original novel which became 2019 film “Samurai Marathon” and also wrote the original screenplay for 2014 film “Samurai Hustle.” Teaser poster #1 features Gen Hoshino over a red background and teaser poster #2 features Gen Hoshino, Issey Takahashi and Mitsuki Takahata over a white background. “Samurai Shifters” will be released August 30, 2019 in Japan. Teaser trailer and poster added for movie “Don’t Cry, Mr. Ogre” starring Shinichi Tsutsumi and Yuya Yagira. 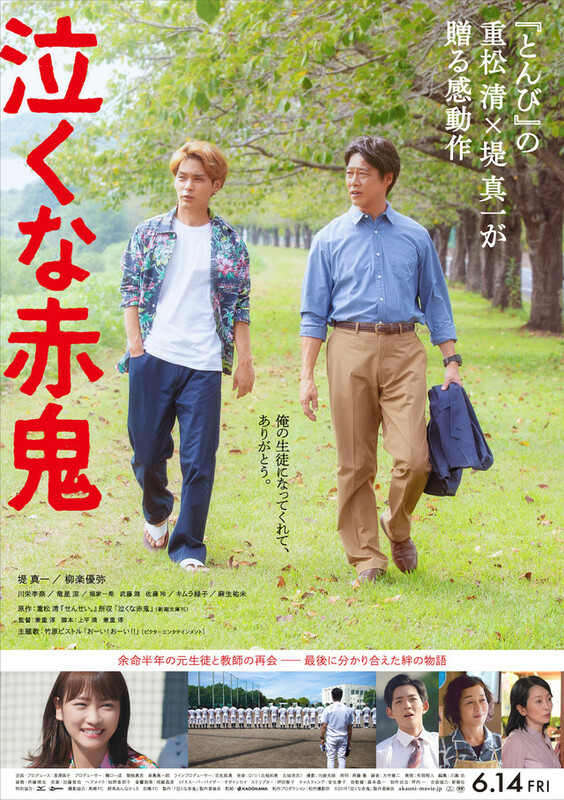 Movie is based on short story “Nakuna Akaoni” by Kiyoshi Shigematsu (“Your Friends“/”The Blue Bird“) and directed by Atsushi Kaneshige (“Kiseki: Sobito of That Da“). The film follows a former high school baseball coach (Shinichi Tsutsumi) and his former player (Yuya Yagira) who now has terminal cancer. Meanwhile, the teaser trailer reveals the movie’s theme song which is “Oi! Oi! !” by singer-actor Pistol Takehara. “Don’t Cry, Mr. Ogre” will be released June 14, 2019 in Japan. Main trailer and poster added for movie “5 Million Dollar Life” starring Ayumu Mochizuki and Anna Yamada. Movie is the first feature length film by Moon Sung-Ho and scripted by Naomi Hiruta. 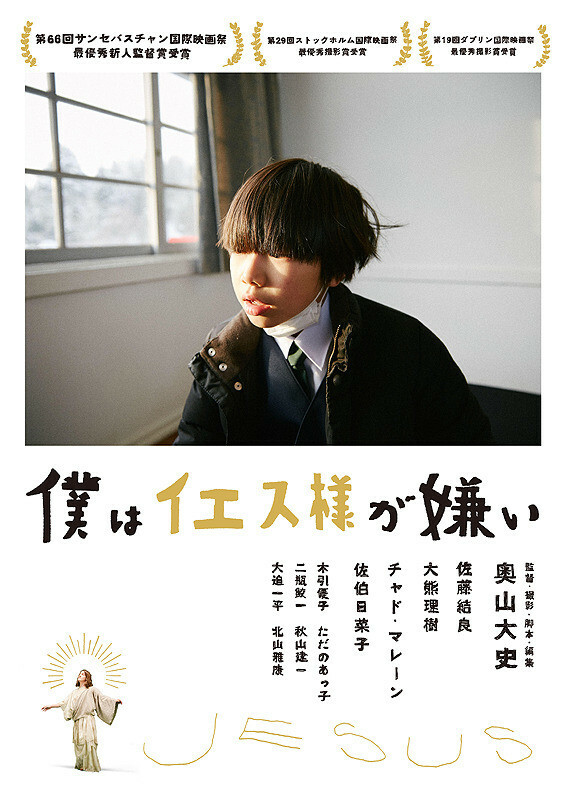 The coming-of-age/road film follows a young man Mirai Takatsuki (Ayumu Mochizuki) who sets out to make 5 million yen and then kill himself. “5 Million Dollar Life” is now set for release July 20, 2019 in Japan.